Many years ago we used to sell goldfish in bags like you used to get at fair grounds. They were very popular. I don't know why we stopped. 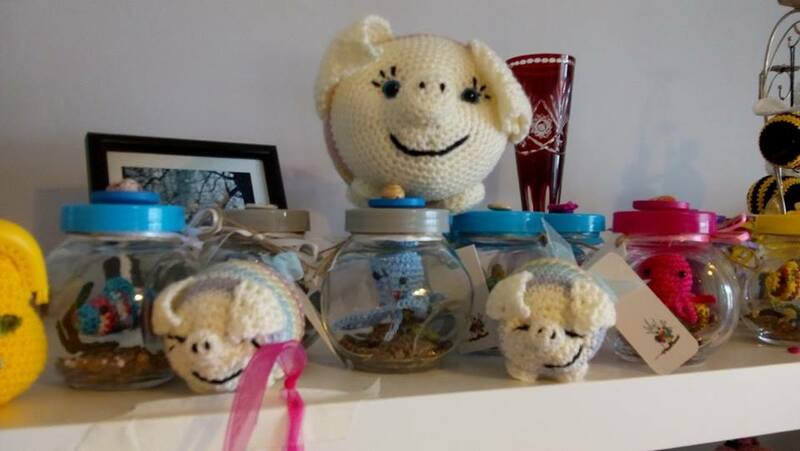 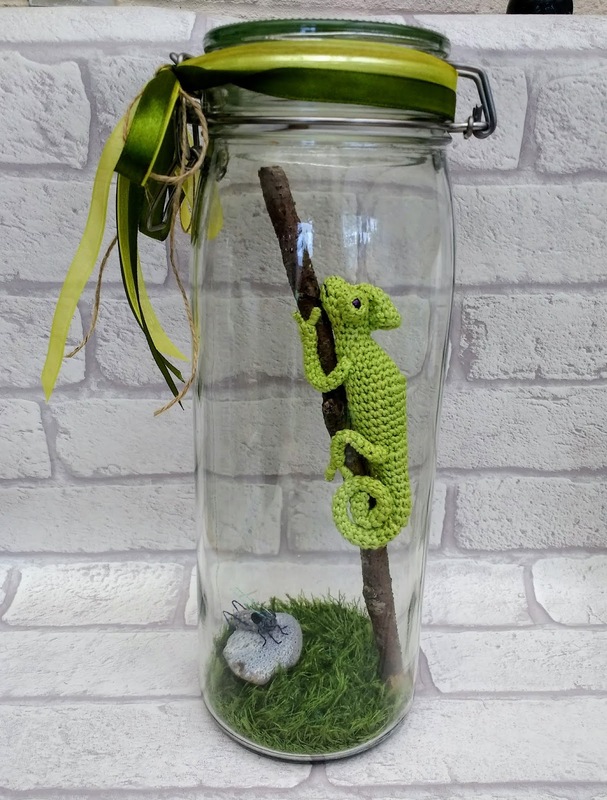 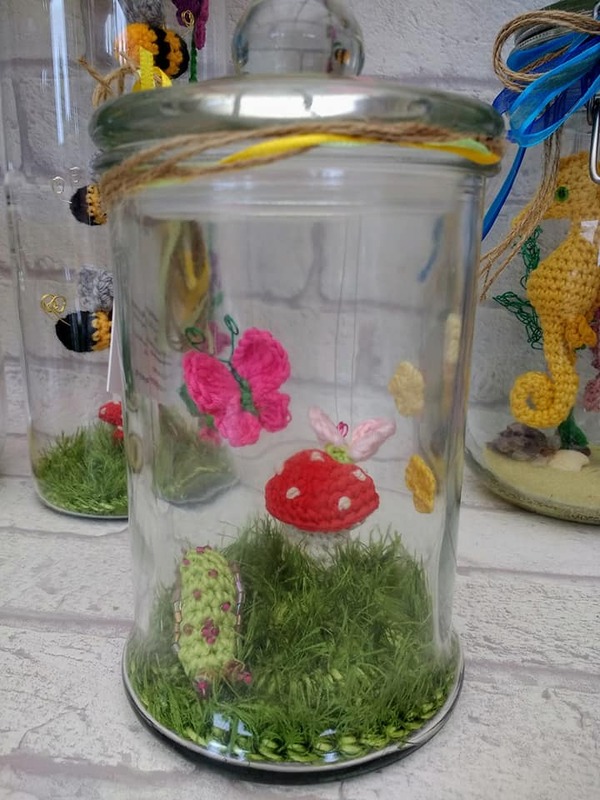 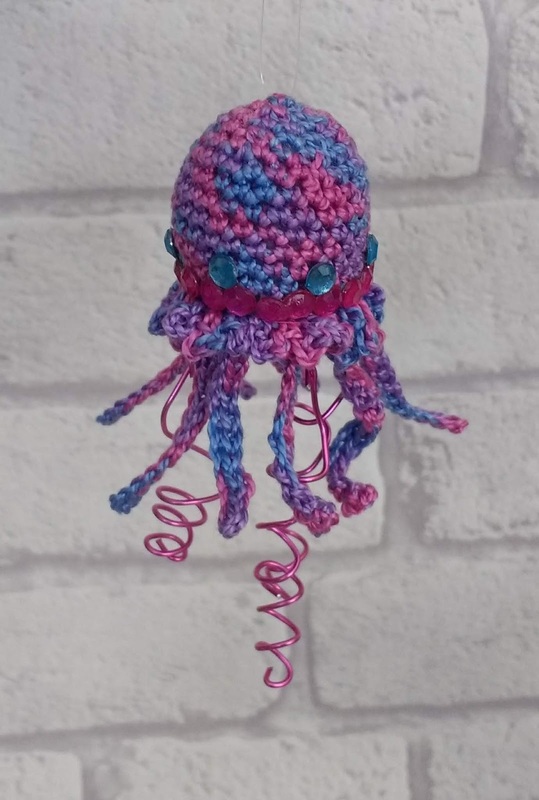 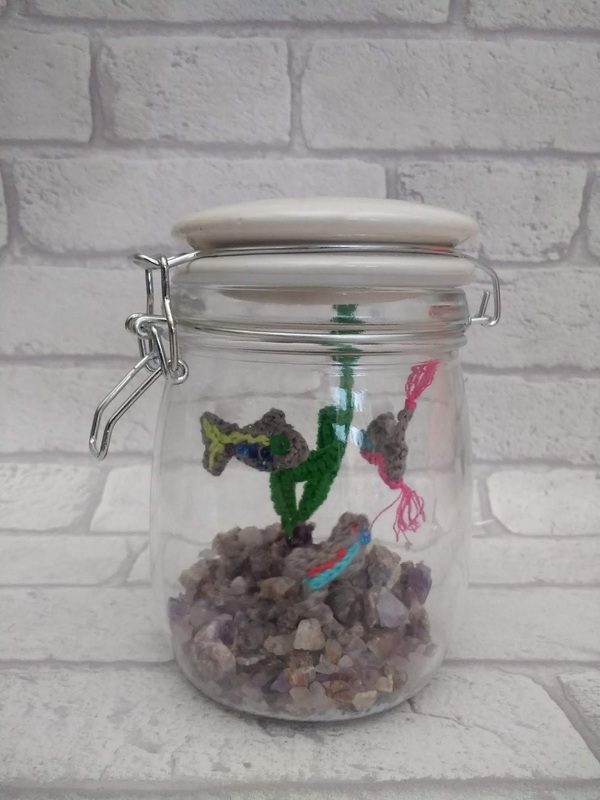 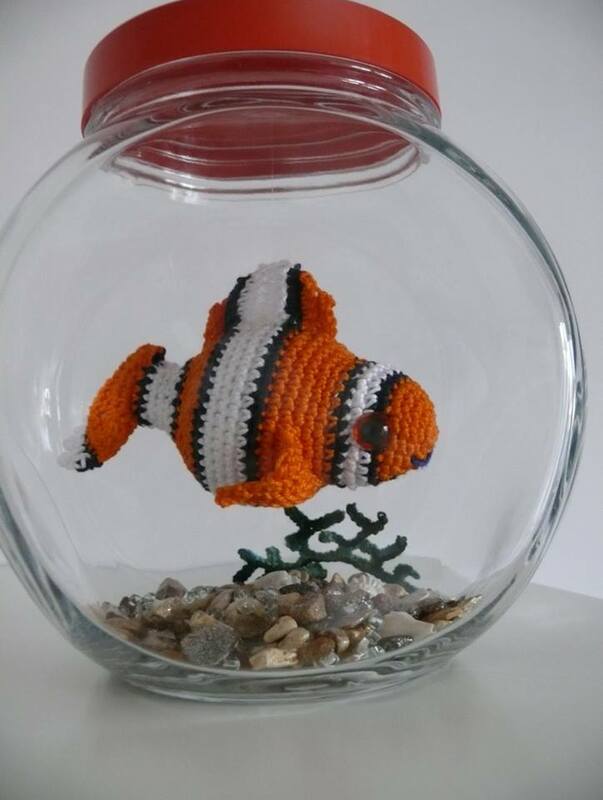 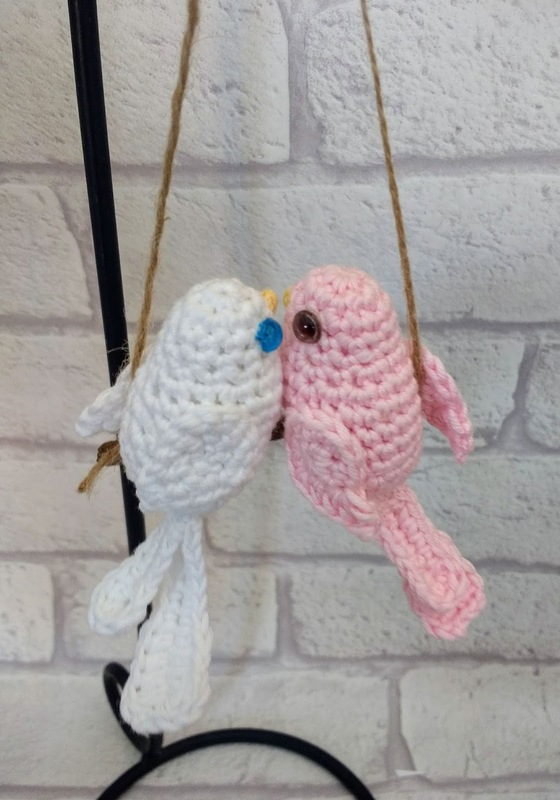 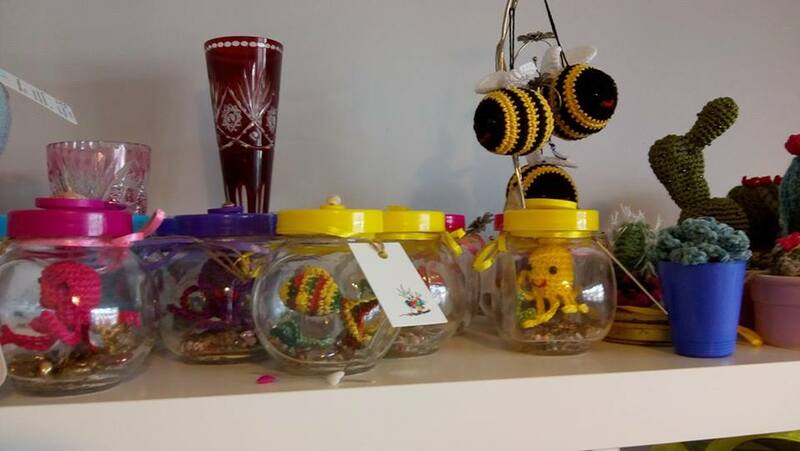 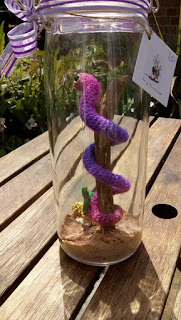 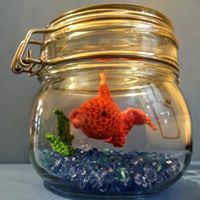 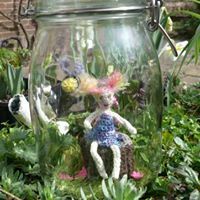 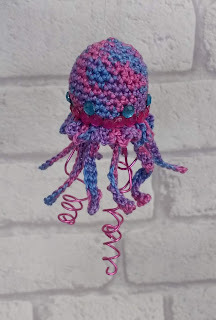 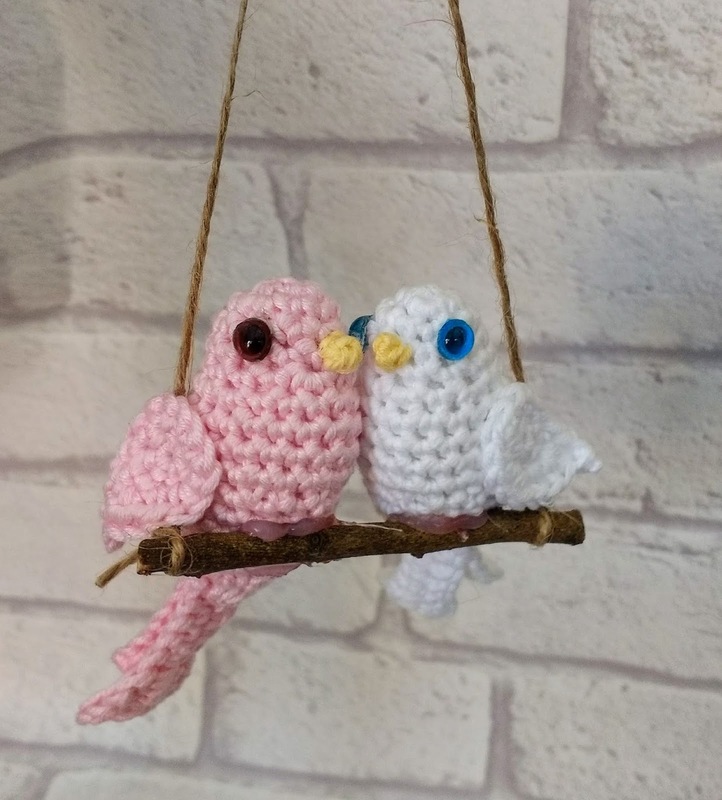 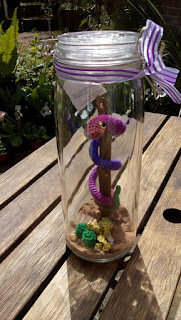 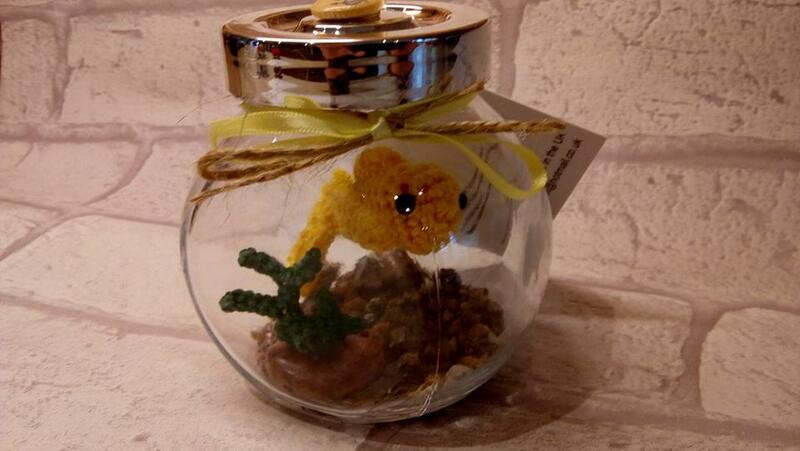 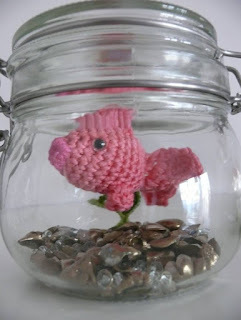 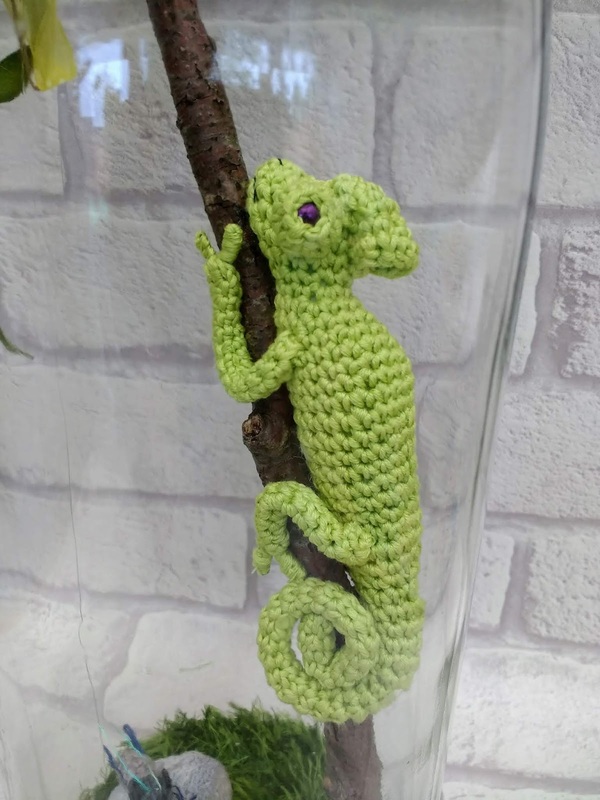 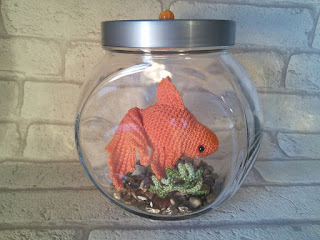 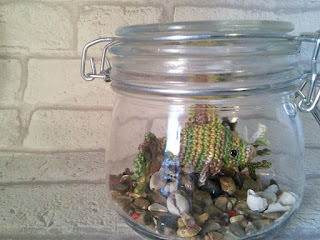 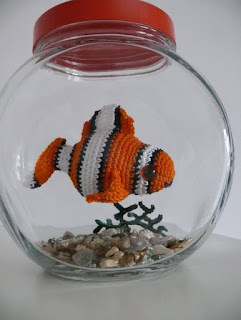 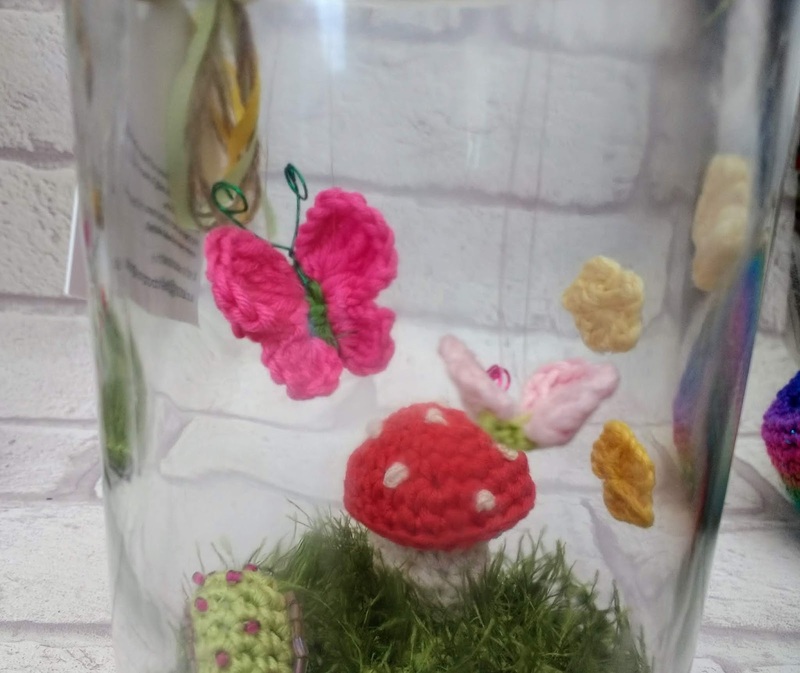 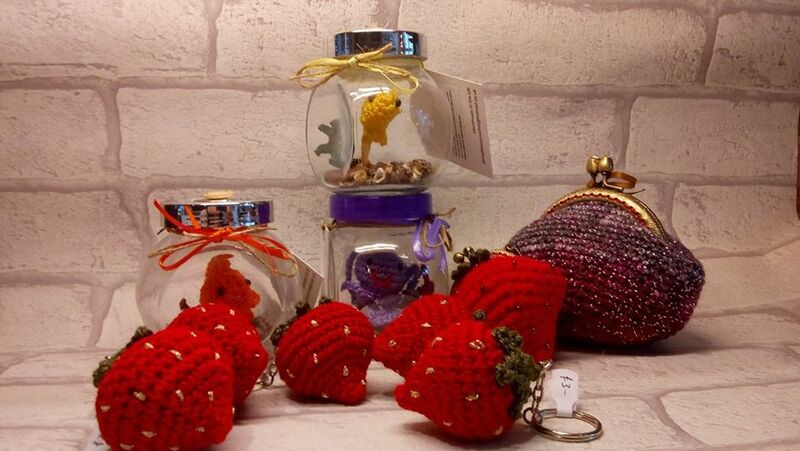 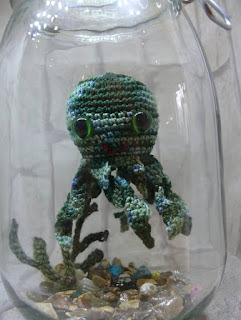 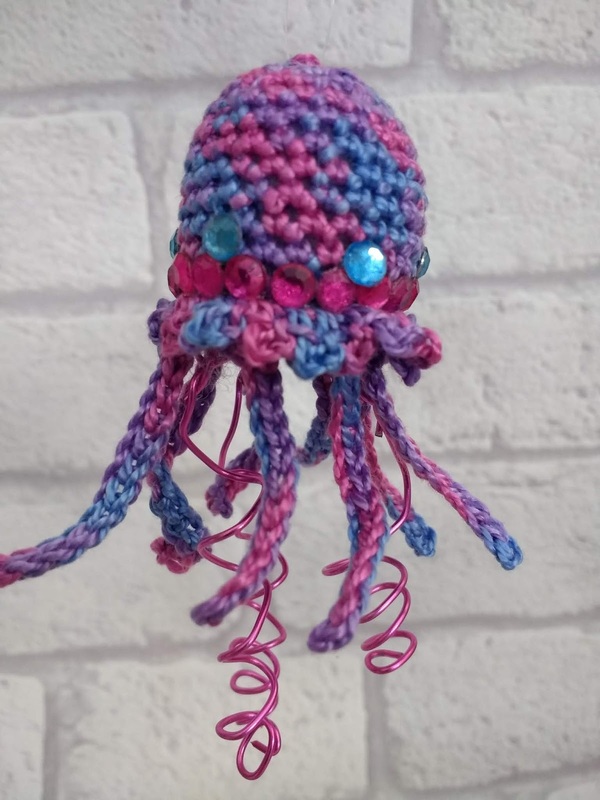 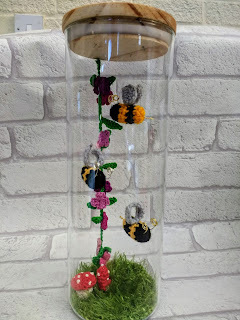 Then, a little while, ago we were asked to supply fish in jars to The Handmade Craft Company - a local craft gift shop that specialises in the handmade work of local artists and crafters. 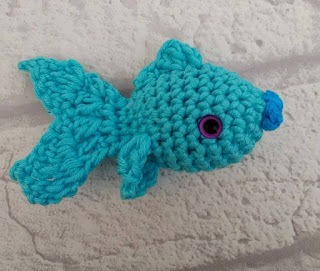 There had been a crafter selling fish but she had left to sell elsewhere and given the ok for someone else to take over. 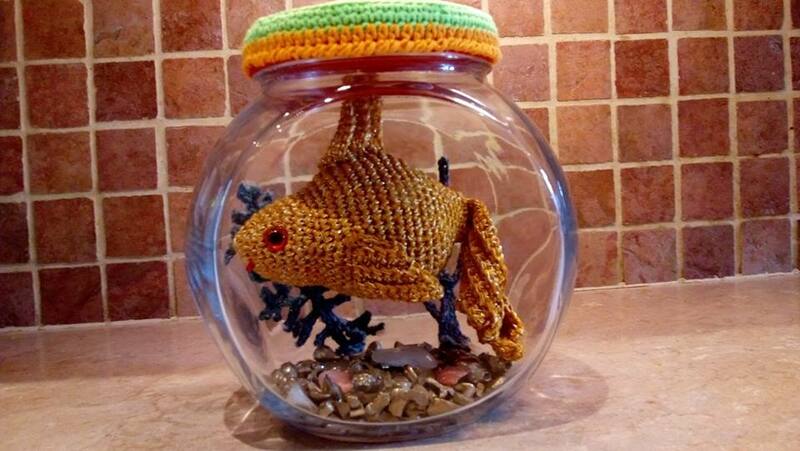 We, of course, said we'd be delighted and pulled out our old fish patterns. 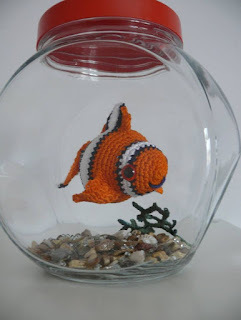 But we couldn't leave it at just little fish, could we ....? We're having so much fun letting our imaginations run wild. 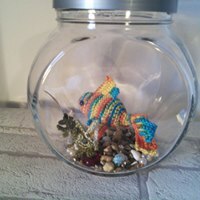 Here's a quick gallery of a few so far with apologies for the less than perfect photography. 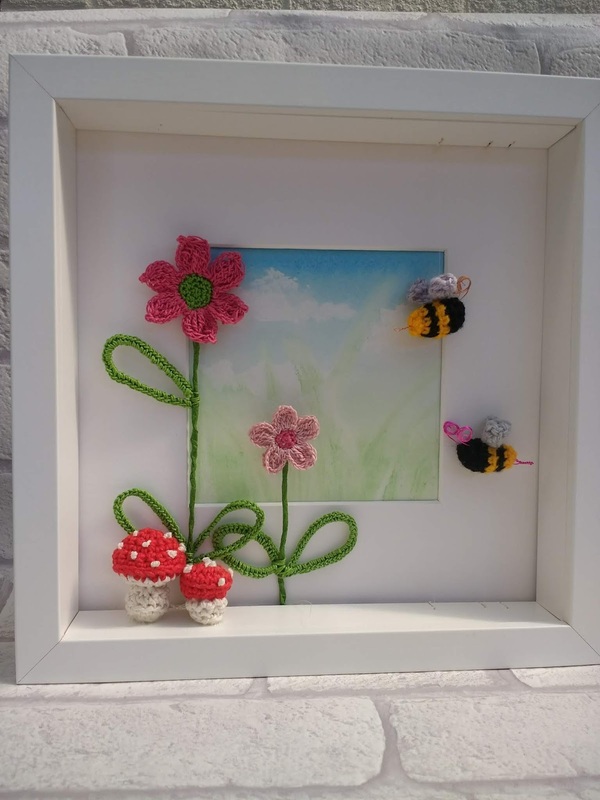 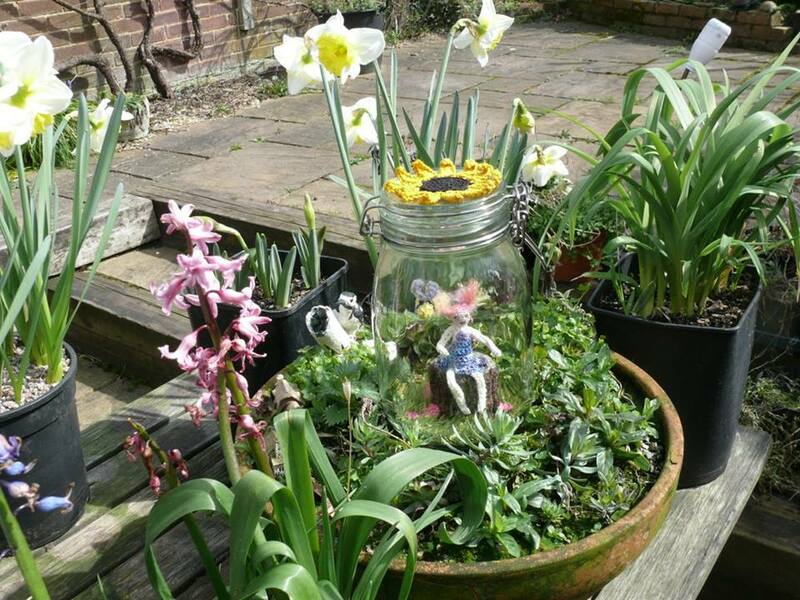 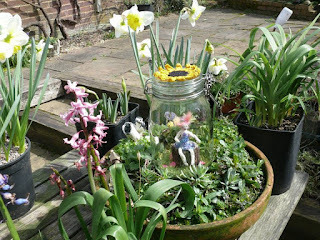 Bumble bee gardens in spaghetti jars, small jars (not shown) and frames. There are also turtles and seahorses and many more wonderful things that haven't been photographed but I'll leave you with our best seller: because they have the smallest little jars with the tiniest of pets - either a fish or an octopus - we have been able to price them at only £5 and they have been selling like crazy at fairs and in the shop too. 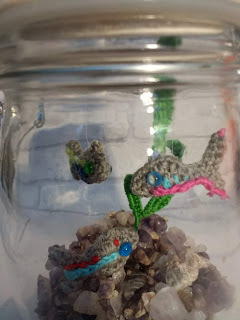 Hope you can see them in among all bits and bobs!